When the micro-tears on my right Achilles tendon threatened to turn into a permanent rip straight through the tendon that would require surgery and months of re-hab, I had to finally stop running and cycling. No more training rides or runs with my triathlon friends. I dropped out of Ironman Canada and focused on swimming Masters five days a week. I did that until I blew out my right shoulder. Then I had to stop swimming, too. It was a rough time for a while to not being able to do much of anything and missing my triathlon friends during the social road rides, trail runs and Masters swim workouts. Soon after, I got pregnant with our first child who was born a big, blue-eyed and bald headed little boy. As a new mom I discovered the joy and reward of giving myself to helping another. Two and half years later our daughter was born and by then, I was in full-mommydom and basically never saw our old triathlon friends much at all. The tires on my Baby Jogger wore out before my road bike tires that I had bought brand new just before the first baby. Months turned into years between triathlons and I realized that I needed more than a daily workout or a race to feel alive and accomplished. And, I would rather spend hours with my kids than sitting on a bike seat far from home on a 50-mile training ride feeling guilty and rushed. For the next decade I stopped doing long triathlons and focused on an annual Sprint Triathlon or marathon race that I only had to train once a day for. One by one, my old triathlon friends were replaced by new parent friends that I met through our kids. I missed triathlon but going back to the level that I was at wasn’t possible with two little kids and a full-time job. 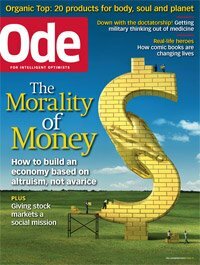 In 2005, husband and I started a non-profit organization to help survivors* of natural disasters the week after we returned from living through the Andaman Sea tsunami disaster with our kids during a family vacation in Thailand in December 2004. My husband gave our foundation a big name that reflected his big plans for it: Kirwin International Relief Foundation, or “KIRF” for short. But, it’s really just us two volunteering our time, writing grant proposals and infusing it with any cash we have left over from paying the bills. I like to think of KIRF as our way of doing something really rewarding with our lives and a way to excercise our altruistic muscles that needed to be worked out by the both of us since neither of us works in a classical “helping profession.” We fund sustainable and culturally appropriate projects that help people regain their economic self-sufficiency and we also purchase supplies that people tell us that they need after a disaster. The need I discovered for cultural competency when doing field work, of building rapport with the locals and the many inefficiencies and mistakes made by larger non-profits inspired me to pursue a masters degree in cultural anthropology at CSUN. According to Robert M. Sapolsky, “stress can make us sick (p.3).” His book, Why Zebras Don’t Get Ulcers, explains what happens to humans and animals when they get stressed out from a physiological and evolutionary perspective that is both easy to read and scientifically rigorous. Why don’t zebras get ulcers? They don’t because they are adapted to what normally stresses them out: physical stressors such as getting chased by a lion or adapting to suboptimal calorie intake when they can’t find adequate forage. Unlike humans, they don’t routinely suffer from psychological and social stressors. Unfortunately for humans, we do suffer from psychological and social stressors, but, like the zebras, our stress-response is adapted to respond to only physical stressors. If zebras had to go to go war or worry about subprime mortgages, get a divorce, handle elder care and seek more job security (psychological and social stressors), they would probably develop ulcers, too. In this book Sapolsky combines the latest scientific research with humor and practical information, too. Stress-responses are the body’s way of mobilizing energy using the endocrine system in order to cope with a perceived threat according to Sapolsky, a professor of biology and neurology at Stanford University and a recipient of a MacArthur Foundation “genius” grant. There are three types of stressful threats: acute physical crises (like crashing on your road bike [happend to me] or breaking one’s fifth metacarpal while sparring in taekwando [happened to hubby]), chronic physical challenges (like making do with rice and water everyday for months like the Dalit kids my mother-in-law helps with her KIRF India foundation in rural Bihar, India or living the dulce vita as an upper-middle class gal on a starvation diet of cocktails and coffee drinks–and not dying) and psychological and social disruptions (stuff that runs the gamut from school or work stress, marital discord, elderly parent care, to being on constant alert as a soldier in Iraq or Afganistan…) (Sapolsky 2004:4). It is the last type of stress, psychological stress, that most people in industrialized societies like ours suffer from when they feel stressed. Unfortunately, our bodies have adapted to survive best when confronted with the first two physical types of stressers. This is why stress makes us sick. Chronic forms of psychological stress such as PTSD are a contributing factor to many of our modern ailments such as alcoholism, insomnia, heart disease, diabetes and depressed immune systems. Symptoms of dealing with chronic psychological stressors are similar to the symptoms of dealing with chronic physical stressors. They include: elevated heart rate, blood pressure and breathing rates, a depressed immune system, a depressed sexual drive as well as a decrease in the rates of digestion, growth and tissue repair (Sapolski 2004:11). During chronic low-level periods of stress (like Finals Week or going through a home re-model that went south), sensitivity to pain is enhanced, insomnia is common and, sadly, for some, one’s appetite increases with a greater surplus of energy stored in one’s fat stores rather than spending it on good things like boosting one’s immune system. It really isn’t fair. According to the latest research, stress makes “two-thirds of people hyperphagic (eating more) and the rest hypophagic”, according to Sapolsky (Sapolsky 2004:72). This is because different types of stress-responses affect the appetite differently. This distinction is important when it comes to my post-race bingeing research I mentioned in my previous posting. When you are experienced acute stress, there are large amounts of appetite suppressant CRH and almost no glucocorticoids in your bloodstream (during the first moments of acute physical or psychological stress) and your appetite is suppressed. It is when the acute phase of the stress episode is over that the CRH in the bloodstream returns to normal. However, elevated glucocorticoid levels remain in the bloodstream for a while or are secreted by your endocrine system in response to “frequent intermittent stressors” such as psychological stresses and this increases appetite. Not only do people after an acutely stressful event eat more, they crave sweets according to the research of Elissa Epel of UCSF (Sapolsky 2004:76). And, what has a more pure form of sugars than alcoholic beverages? Stress can induce one to want to drink more than usual. Saplosky emphasizes this point when he writes, “Glucocorticoids not only increase appetite but, as an additional means to recover from the stress-response, also increase the storage of that ingested food (Sapolsky 2004:76).” There you have it: Stress makes you fat. Now, if you’re thinking “That’s me!” when it comes to craving sweets when stressed, I’m with you 100%. When it comes to chronic low-grade stresses, or that happy period of period of time after an extremely stressful incident, you practically have to lock me out of my kitchen to keep me out of the cookies, corn chips and gin and tonic. I’m so predictable. But so are so many of my fellow humans at Dargin’s on a Friday or at the Pierpont Racquet Club (a health club mind you) buying pitchers of beer for each other after a stressful week working and working out. Two weeks ago, during Finals Week, the more I stressed, the more I craved sweets and the more I ate them. And, the more fat that seemed to be stored in my body as my Lucky jeans got tighter and tighter the more I stressed about that, too. On my last day of finals, after a week of staying up late studying and stressing AND not fitting in my favorite jeans, I got more stressed out, thereby releasing more of those nasty appetite enhancing glococorticoides in my body. Next thing I knew, I was famished for that bag of Mission Corn Chips in the kitchen and another fresh cinnamon roll from Saturday’s farmers’ market. For a week, around and around the stress cycle went pushing me closer and closer to the adult-onset (type-2, non-insulin-dependent) diabetic lifestyle: over-eating, physical inactivity and chronic stress (Sapolsky 2004:66). Fortunately, Finals week was only a week. I’m happy to report that my jeans are fitting a little bit better and I’ve worked out every day since my last final. Thank goodness. 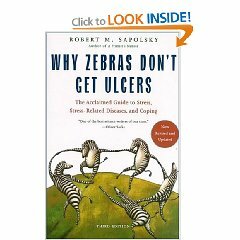 2004 Why Zebras Don’t Get Ulcers, Third Edition, New York, NY: Henry Holt and Company, LLC. Is there a correlation between a structured pre-race training and dietary regime and a post-race binge? Or, in anthro parlance, is a post-race binge a type of a rite of rebellion that is simler in function to the temporary reversals of normally restrained social behavior by observant Catholic participants celebrating life after Lent at Mardi Gras and or urban office workers going native at Burning Man? Or, are post-race binges mostly bio-cultural responses to, and releases from, the chronic pressure experienced trying to fit in a structured and daily regime of workouts, employment reponsibilities, family and other pressures combined with a restrictive sports nutrition diet? Basically living each day with a chronic low-level psychological and physical stress up to race day. Are the post-race carbo and beer cravings due, in part, to a physiological stress response(elevated glucocorticoid levels)* after the end of a temporary period of acute physical and psychological stress felt during racing? I’m doing two research surveys, one for triathletes and the other for runners, to determine if there are any correlations between pre-race behavior and self-report stress response symptoms and post-race “going Carnival” (binging) behavior. I’m doing this research of the cultures of runners and triathletes as part of my MA thesis as a graduate student of anthropology at CSUN. Links to the surveys will be posted soon at this blog. If you are a runner or a triathlete please feel free to comment on this research with your own thoughts and experiences. These jerseys are by a company called Blackbottoms Cyclewear in Colorado. They look pretty cool for a medical professional and seem pretty high visibility for safety on the road, too. If you login to your Twitter account at TwitPic and leave a comment (if you like them or not) they may give you a pair of socks. A: I think the post-race binging (I call it “going carnival”) is a rebellion and a celebration. It’s healthy relief from the daily habitas and structure of sports nutrition, training and racing and a celebratory episode of social solidarity or communitas (see Victor Turner’s “Betwixt and Between: The Liminal Period in Rites de Passage,” 1964). The post-race binge is a special time when the normal rules of being a triathlete don’t apply. Instead of their usual low-fat, high-carb healthy foods, it’s often anything and everything–served with beer. It’s kind of like sharing a few beers after work with friends on a Friday or gorging on Thanksgiving dinner with all the fixings plus desert. It’s a stress relief, a celebrabratory ritual and it is a marker of in-group behavior and solidarity. 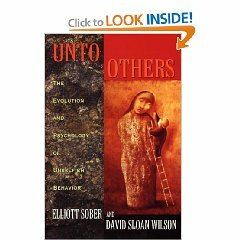 The comensality (who you share your meal with) is significant socially and symbolically. With whom does said triathlete post race binge? Probably other triathletes–others in their group. Would there be post race binging without the triathlete habitus? (see Pierre Bourdieu’s Distinction, 1984) I don’t think so. Triathlon’s embodied culture dictates that one’s fitness and physique must be actively “maintained” through a strict regime of multiple daily workouts and special foods consumed at specific times and in specific quantities. Triathlete jargon reflects their structure: instead of meals, they “re-fuel”, instead of going out to Italian food, they “up their carb intake” or “carbo load” before a race. Triathletes don’t drink when training, they “hydrate” and so on. What they eat is dictated down to the calorie and proportion of macronutrients (rather than eating local or organic). Their diet is limited to quickly metabolized and easily digestible foods before and during working out or racing. Instead of the typical American-English meal structure of “meat + 2sides”(the main course is a meat and the sides are a starch and a vegetable– see Mary Douglas’ “Deciphering a Meal, 1975) the structure is more like “carbs + 2macronutrients” (main course is a carbohydrate such as pasta or rice with two macronutrients, generally a protein + fat according to Monique Ryan’s “Sports Nutrition for Endurance Athletes, 2007) The routine of eating is different also. Instead of three meals a day, it’s more like three snacks and one large meal at night (according to my triathlete survey, Fall’08). Don’t even get me started on the clothing of triathletes. Why is okay for a triathlete to run around in public naked except for a swimsuit and running shoes? If a triathlete races on a mountain bike wearing cargo shorts, flip-flops and a t-shirt, is he or she really racing? Special foods, special training, special clothing, and special equipment all comprise the habitus of the typical triathlete we see in the magazines and at the races. The stricture is the catalyst for the rebellion. 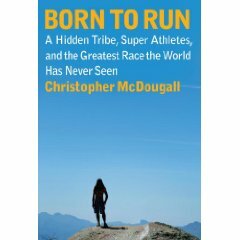 The rebellion, by it’s ritual & communitas, re-inforces the stricture–the triathlete habitus. Without the intense daily structure of multiple workouts and dietary restictions on what, when and how much one can eat, there’s no need for the post-race release. Test it with a research project: “Post celebratory race rituals in non-training triathletes who eat taco bell, drink beer and live la vida loca” See if there are any.